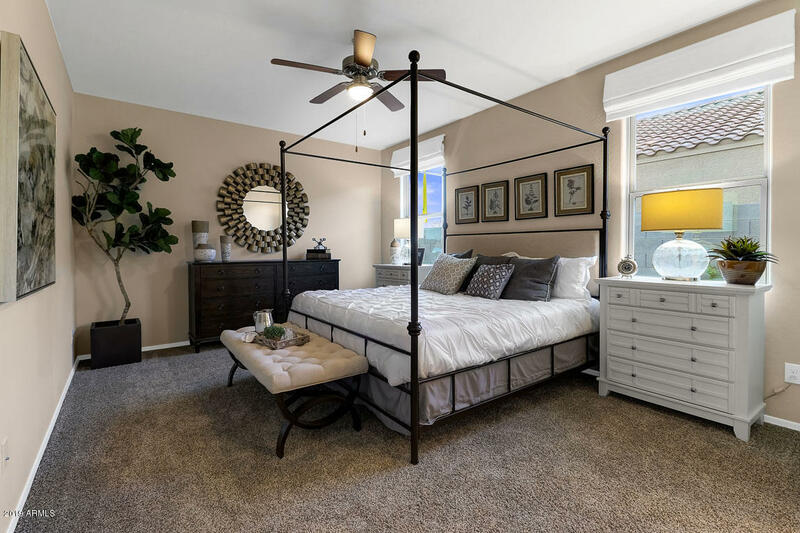 NO BACKYARD NEIGHBOR & MAIN LEVEL MASTER BEDROOM! 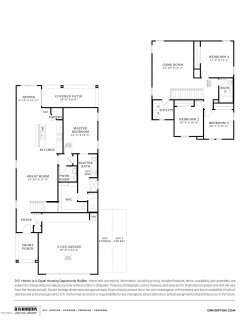 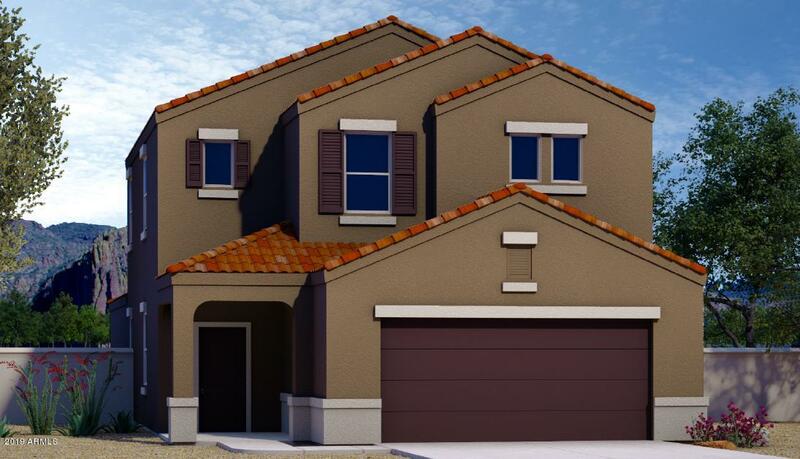 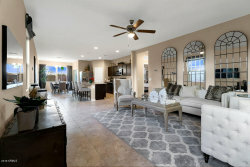 The 'Rainier' floor plan is a two-story home featuring 4 bedrooms, 2.5 bathrooms and a 2-car garage. 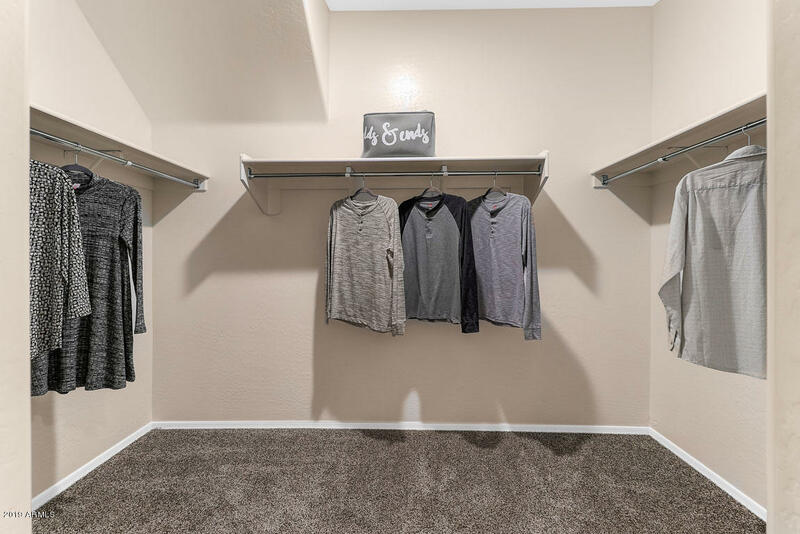 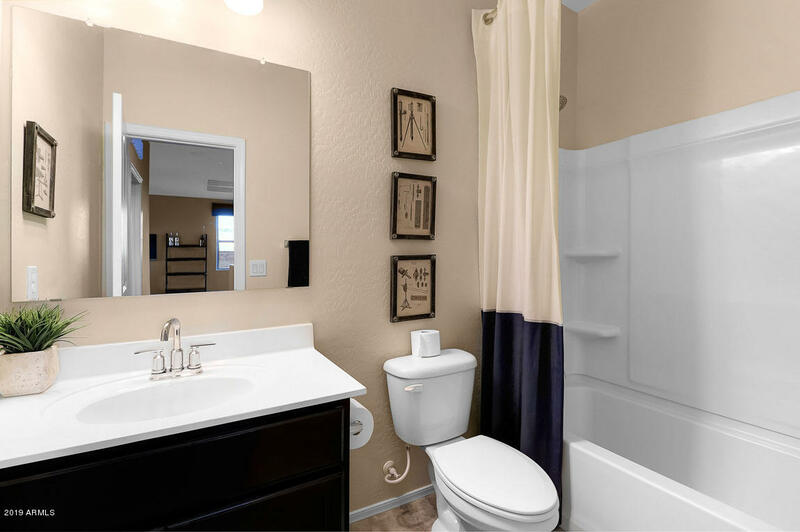 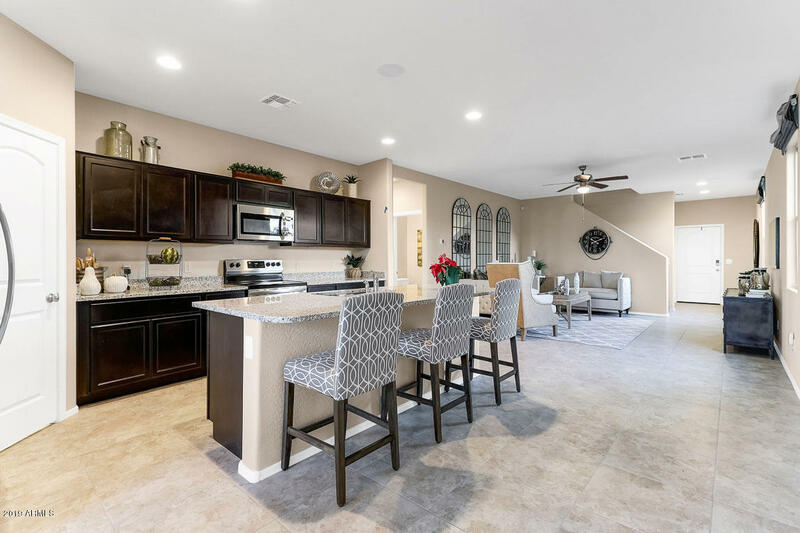 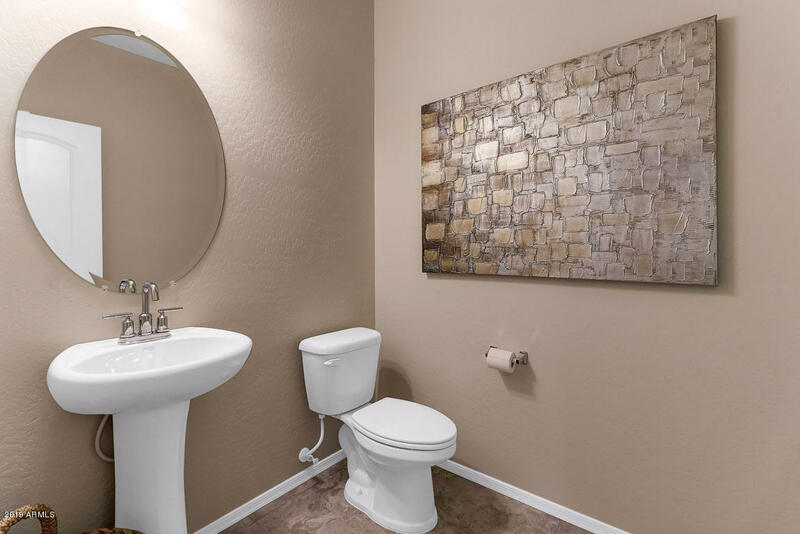 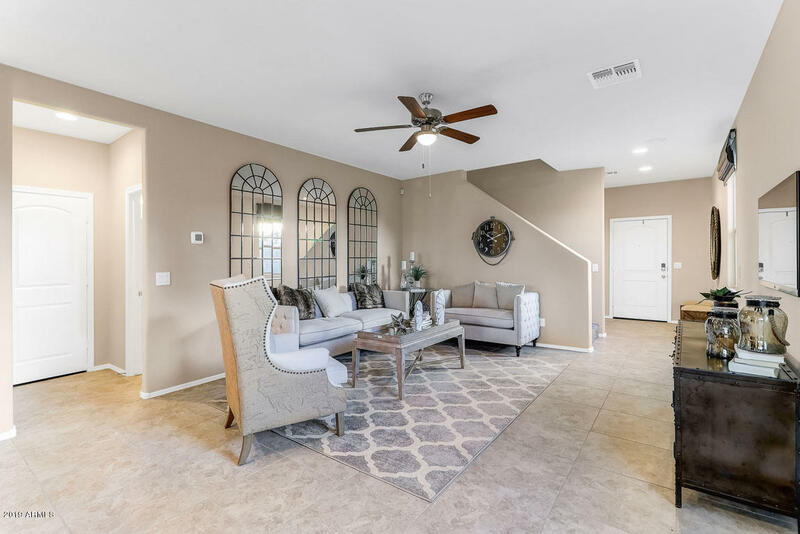 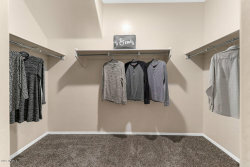 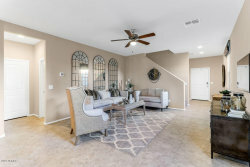 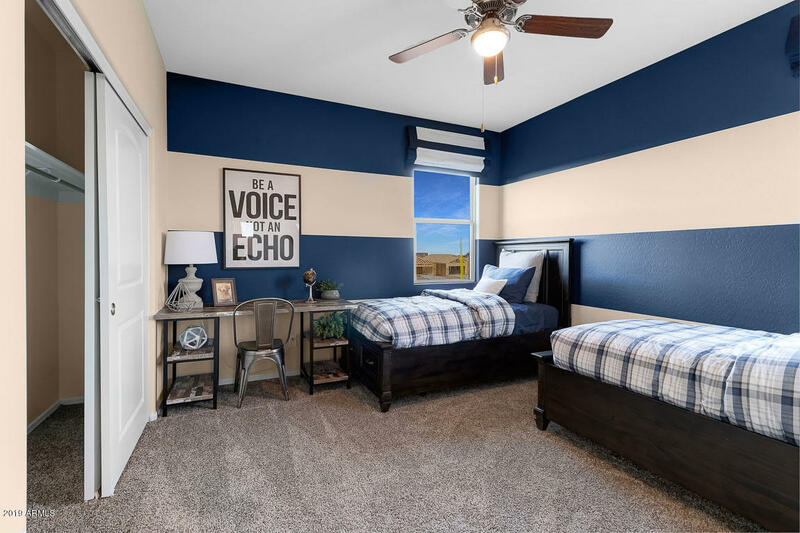 Upgraded interior finishes include granite counter tops in the kitchen, cultured marble counter tops in the bathrooms, Espresso cabinets and 20x20 tile flooring in all wet areas. 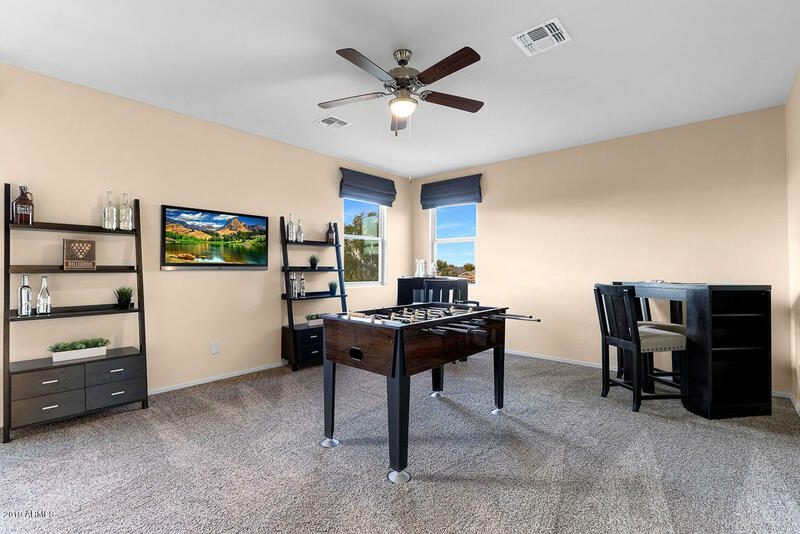 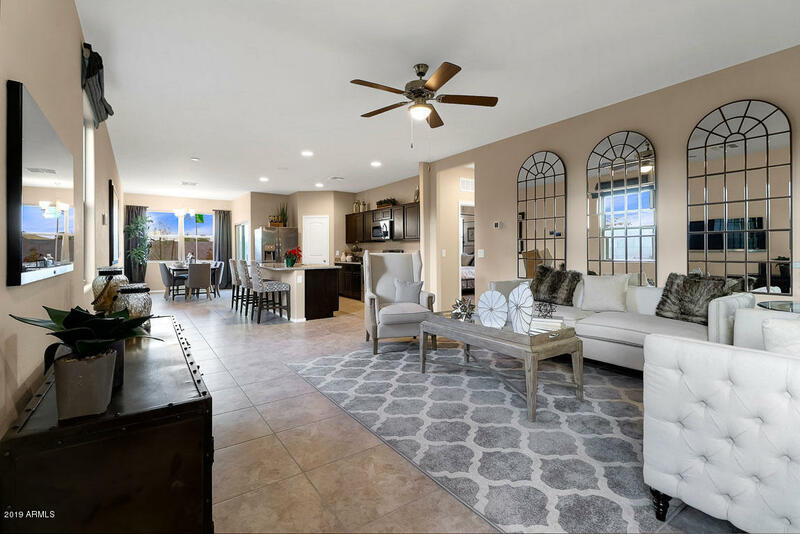 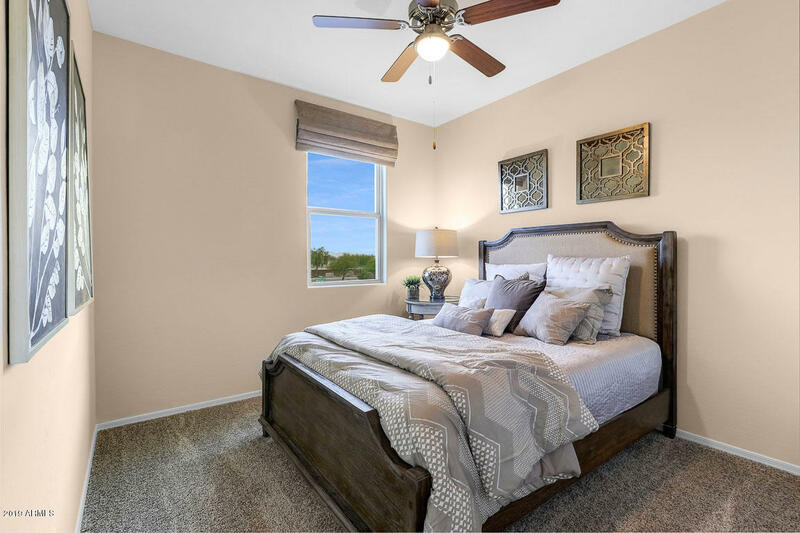 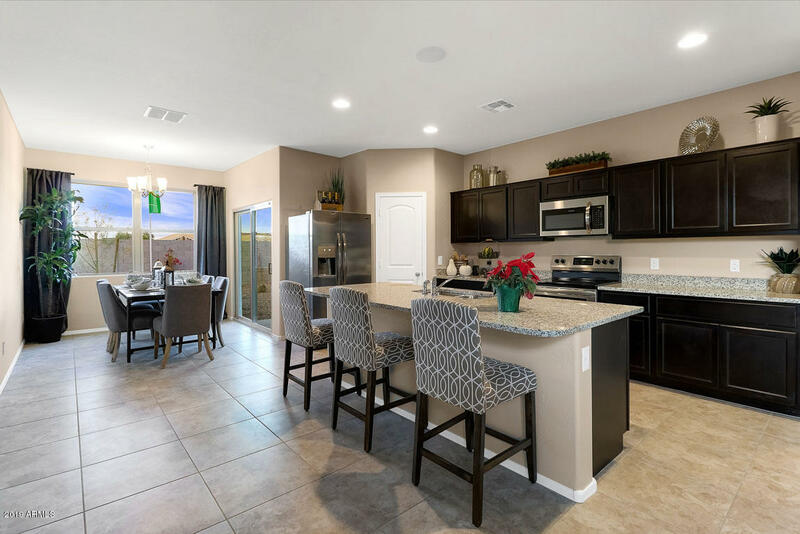 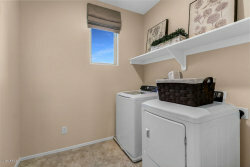 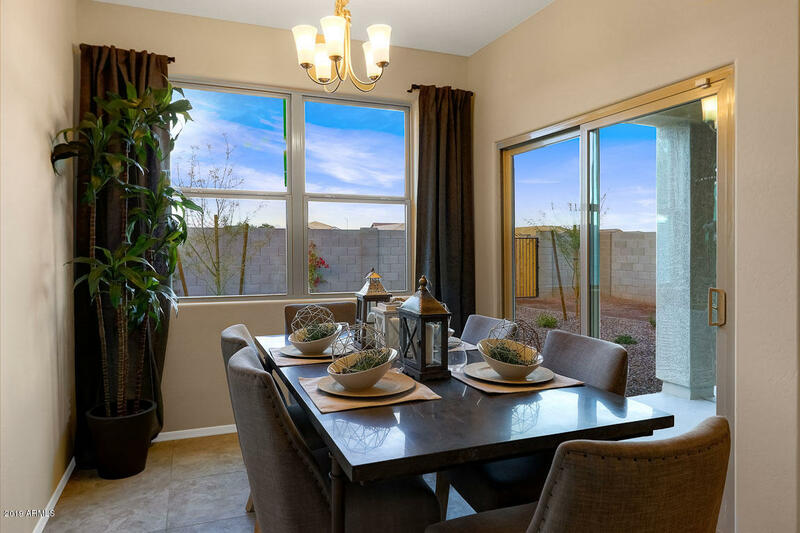 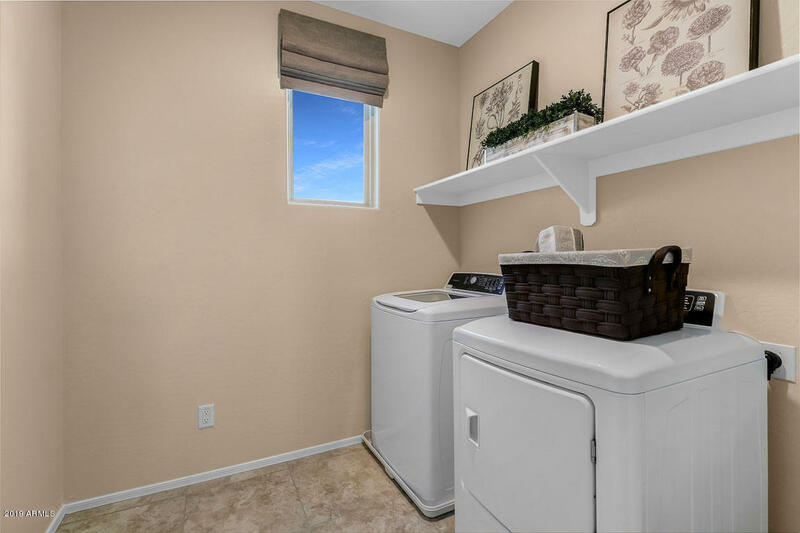 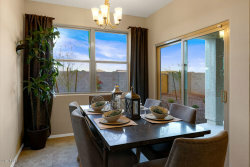 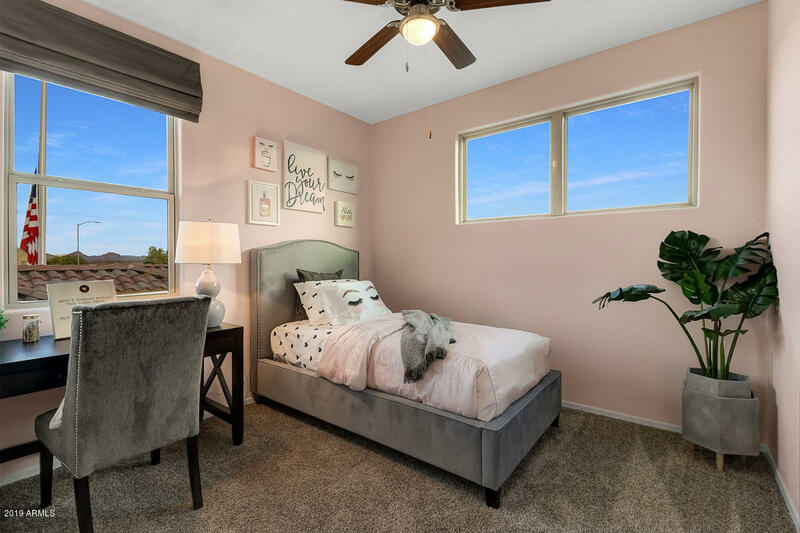 A complete stainless steel appliance package + refrigerator, washer and dryer, window blinds, garage door openers, front and backyard desert landscaping are all included! All homes include our NEW Home is Connected Smart Home System! 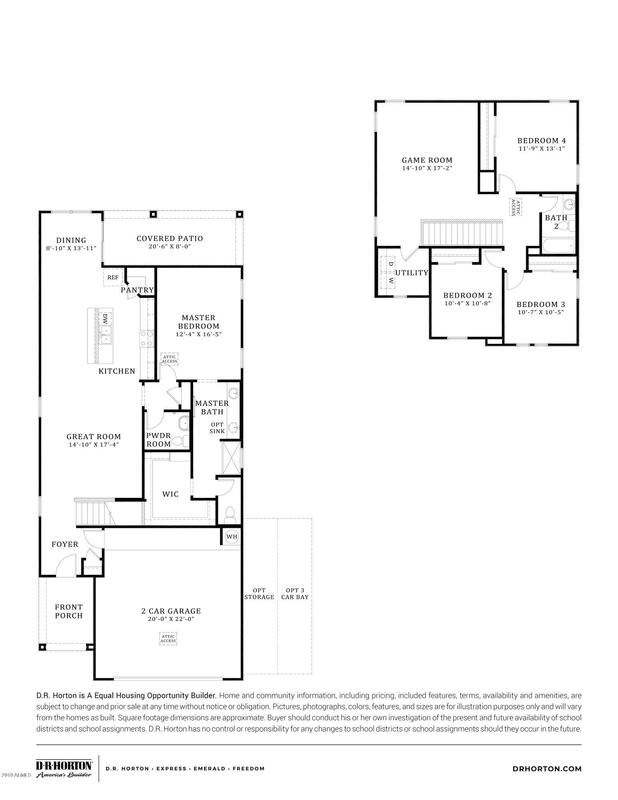 Home is to-be-built. 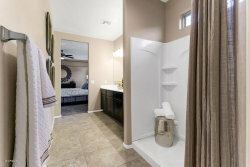 PLEASE NOTE: PHOTOS ARE OF MODEL HOME.